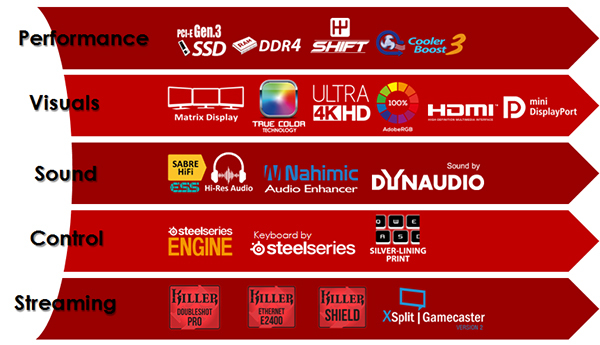 MSI is always ahead of others in meeting users’ needs by introducing the most up-to-date solutions and offering the most complete gaming features for extreme gamers. The company stands by the principles of breakthroughs in design, the pursuit of excellence, and technological innovation. There is no limitation of the advances of technology and innovation, not to MSI. A new definition for SLIM notebook now descends. Almost 9% slimmer than its previous design, GS72 is only 19.9mm thick. 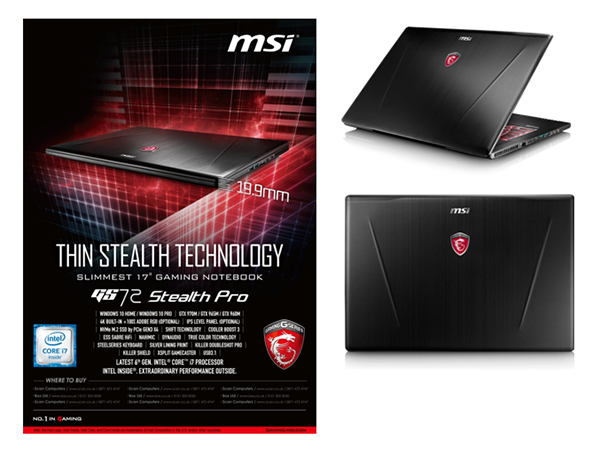 MSI GS72 is therefore slimmer than all other 17.3” gaming notebooks with the NVIDIA GTX970M graphics card on board. With two automotive-inspired muscle lines on the lid and the whole chassis covered with the brushed metal design, GS72 completes the stylish and elegant look for urban business gamers. 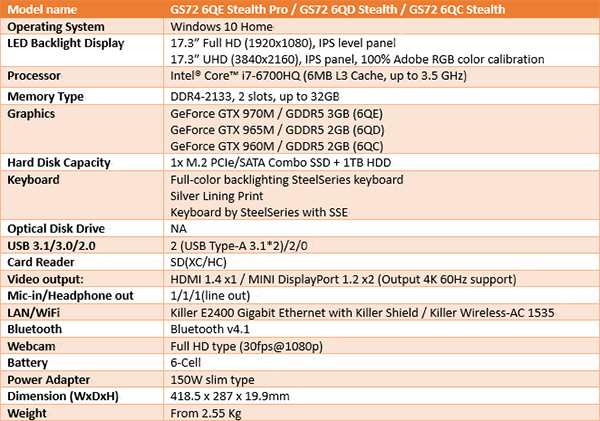 Besides the brand new chassis design, the MSI GS72 Stealth Pro comes with 4K built-in display meeting the 100% Adobe RGB standard. The 4K panel meets over 100% NTSC standard and has a broader range (gamut) of colors up to 100% Adobe RGB color calibration, the panel resolution of MSI GS72 Stealth Pro is thus four times higher than a FHD TN LCD display. MSI GS72 Stealth Pro hence presents you images with more vibrant and vivid colors and exquisite details as real world.